It is mandatory to have car insurance policy for every single car running on the road in India by Motor Act. Car insurance also provides protection against financial liability caused by accident and damage to the property. Selecting right car insurance policy for the car is important but every car insurance companies are offering the best car insurance at affordable price choosing the best insurance policy to become more confusing. It can be tricky to choose the best car insurance policy in this competitive era. Below are some important points which will help you to choose right car insurance policy for your car. While choosing car insurance policy check out the coverage and features offered by insurance companies. Most of the insurance companies are providing car insurance policy with similar features and benefits. Check the IDV value of the car and claim ratio of the insurance companies. Also, check what are the things covered under car insurance policy. Before buying the car insurance policy know about the reputation of car insurance companies. By knowing and understanding the car insurance policy coverage one can save on car insurance premium. 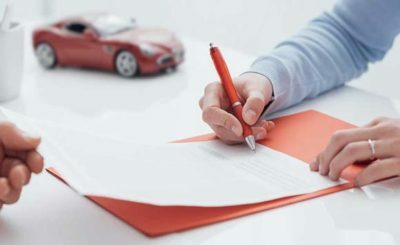 So, before choosing car insurance make sure you have read the fine print of insurance policy. Compare car insurance policy to get the idea of what are the coverage and features provided by other car insurance companies at the same price. By knowing which add-ons you need to include in your car insurance policy you can choose insurance policy at best price. Some private car insurer providing add-ons like 24×7 helpline, road-side assistance, and zero depreciation. You have to pay some extra premium for these add-ons but it can give you more benefits. 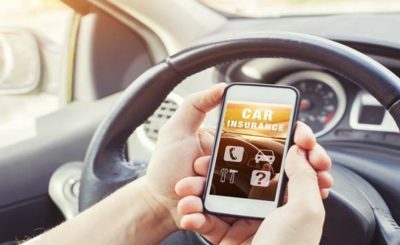 Look for other insurance companies which are offering car insurance policy and compare the features and benefits offered under these insurance policies. 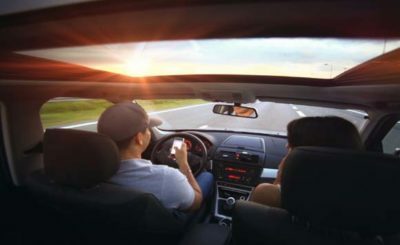 The new car comes with the anti-theft device and more safety features which can reduce your car insurance premium and car insurance provider can provide some extra discount on the insurance premium. The mature car driver can get the car insurance policy at the lowest price or at discounted price compare to the new driver because there is less risk with the matured driver. If you review your auto insurance policy time to time you can adjust your insurance policy in the future. Always check the rate from other insurance companies to make sure you are getting the right car insurance policy at the right price. The insurance company you are going to choose should have a good reputation for claim settlement. Read the online review to know the reputation of every insurance company. Take a movement to know how long an insurance company is taking to process claim. Check the state insurance department portal to know about the insurance company you’re going to buy insurance from. One of the best ways to choose right insurance policy for your car, you can ask your friends which insurance company they are recommending to you. Compare policy online for the best deal on car insurance plan. Looking for any type of car insurance company must check the complaint ratio of the given insurance company. Pay attention to claim ratio, for a better understanding of claim ratio check state insurance department website, where customer complaints are listed. Complaint lodged and given resolution to the complaint by insurance company listed on state department of insurance portal. Before deciding which car insurance policy to buy, get quotes from multiple insurance companies and compare them to know which company providing the best coverage and features at the lowest price. Get insurance quotes at least from top 5 insurance companies. Comparing car insurance quotes online is one of the best ways to decide car insurance policy. Dig deep in car insurance policy for liability coverage provided by insurance companies. Liability coverage depends on the total cost of insurance policy. The liability cost varies company to company. The amount quite big in some insurance policies. I never would’ve thought to think about how long an insurance company is taking to process a claim, since those can be the most stressful times in a car owner’s life. My neighbor recently got into a minor accident, and she confided in me that she is considering leaving the dent in her car, so she won’t have to go through the process of filing a claim. I was glad to be able to explain to her that insurance companies are put in place to help us out in the event of an accident, and that a claim is the only way that we can reap those benefits. My friend just bought her very first car, so she’s been looking for some auto insurance. I love how you mentioned to make sure the insurance company has a good reputation. I’ve heard you can do this by checking with your state insurance license department and even the BBB. Thanks for the great tips on how to choose an auto insurance provider. The amount of coverage that you receive is likely one of the most important aspects of choosing the right auto insurance. As the article points out, before you purchase the car insurance package, you will want to ask the lender about the coverage that it comes with. For example, some of the basic coverage that you’ll probably want is accident coverage just in case you accidentally hit another car, get hit by a car, or even hit a pedestrian. I’m trying to be more independent, so I’ve been looking to buy some car insurance. I love how you mentioned that you should research the reputation of the insurance company, as it will help you find better service. Something else that I’ve learned is that you need to have a credit score in order to get a better premium. Because of this, it may be best to work on your credit at the same time. Thank you for the advice to seek your friends’ recommendations when looking for a car insurance policy. Often your peers will have similar concerns to you and will know what you would value in an insurance policy, so they will give thoughtful recommendations. Looking online for reviews as well as comparing policies side by side can also be helpful. Thanks for the tips on how you can choose the right car insurance policy. You definitely want to look at reviews of the company and find out what types of things people like about it and what types of things they could improve on. You definitely want to find a company that will cater to your needs and will help you get the best deal possible. I really appreciate your tip to check how long a car insurance company can process a claim. My wife and I have been considering getting a new car, and we want to make sure that we have the right insurance for our car if we get in an accident. I will be sure to tell my wife that we should look for an insurance company that can process claims quickly! I liked what you said about checking what is covered in the insurance policy. I know that I want to have pretty good coverage because I’m not the best driver and other drivers in my town aren’t very attentive. I’ll be sure to keep this in mind while I shop around for insurance policies. My brother recently got his drivers license and he asked me to help him find car insurance, so I am glad that I found this article. You make a great point that you should first check the coverage of specific policies because I want to make sure that my brother gets the coverage he needs in case of an accident. Also, it makes sense that you should compare the reputation of different insurance companies by looking at customer reviews and I will make sure to tell my brother to do that. You did a great job of explaining that the first and best thing to do is to check the printed insurance policy. I agree with your point since it is the one that will contain or bear our signature. Although it is my husband who will transact with it, still, as his wife, I need to familiarize myself with it. So just in case, he needs my opinion, I have something to say. My son is getting to the age where he’ll need his own auto insurance soon. I appreciate how you suggest he takes the time to compare policy coverage from different companies before deciding on one. I’ll pass this tip on to him so he can get insurance that is affordable yet provides sufficient coverage. I agree that you want to make sure to find a car insurance company that is reliable. It would make sense to find someone who is reliable in order to know how qualified they will be. My husband and I are looking for new auto insurance, so we’ll have to check how reliable they are first.